A/Prof James Ward is Head of Infectious Diseases Research – Aboriginal Health at the South Australian Health and Medical Research Institute in Adelaide. He is of the Pitjantjatjara and Nurrunga peoples from central and south Australia. James has extensive experience in sexual health and blood borne virus research, and alcohol and other drug use in Aboriginal and Torres Strait Islander communities and as such is recognised as Australia’s expert in the field of STI and BBV control among these populations. James is or has been a member of a number of professional, technical and expert committees, including the Federal Ministerial Committee on STI and BBV (2011-) NSW Ministerial Advisory Committee STI & HIV (2003-2011), Hepatitis (2003-2009), Victorian HIV Taskforce (2009-2010), Northern Territory Sexual Health Advisory Group (2011-). He is regularly invited to present on his work at national and international conferences, including in 2014 as one of three Australians to be invited as a Plenary Speaker at the International AIDS Conference held in Melbourne in July 2014. 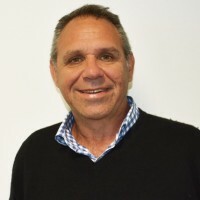 He is a current Board Member of the Australasian Society of HIV Medicine and is most interested in improving health and social outcomes for Aboriginal and Torres Strait Islander communities.